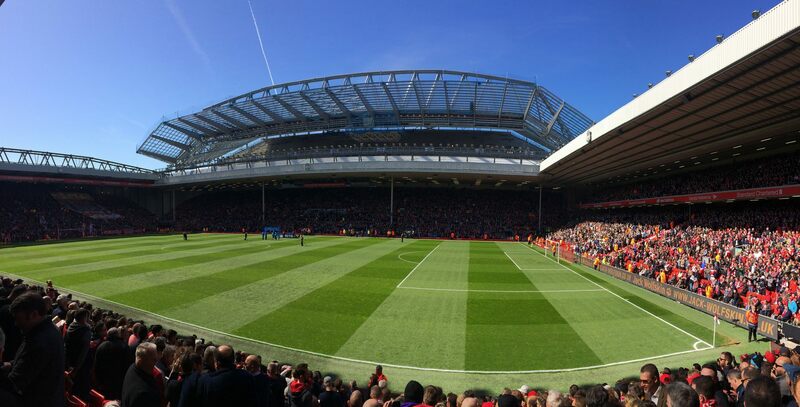 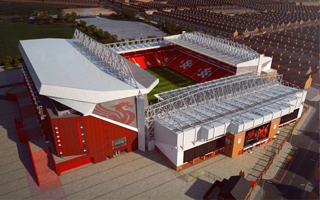 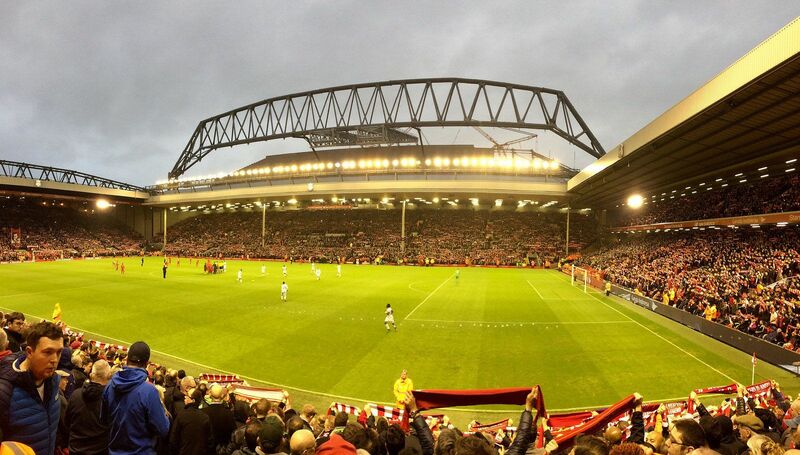 Ever since the club decided to stay at Anfield in 2013, Liverpool FC had been working on a feasible expansion plan. 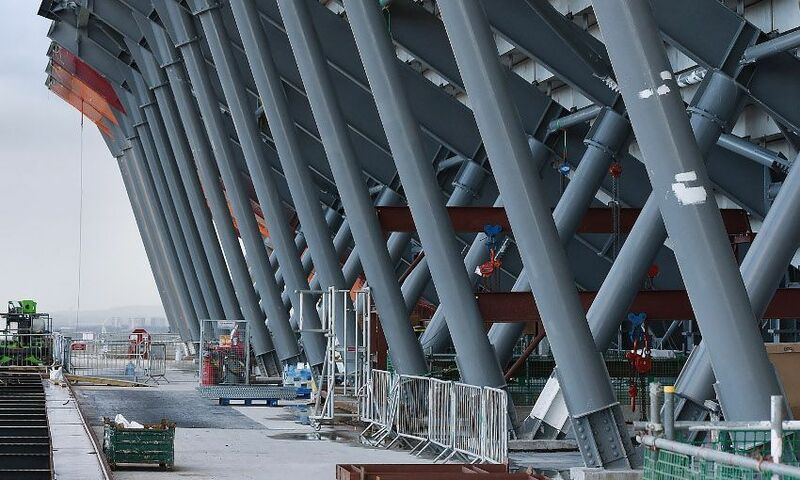 Main grandstand was the first to grow, as designed by KSS Group. Existing sections are to be retained, but merged with massive new facilities to be built behind the stand, under one new roof. 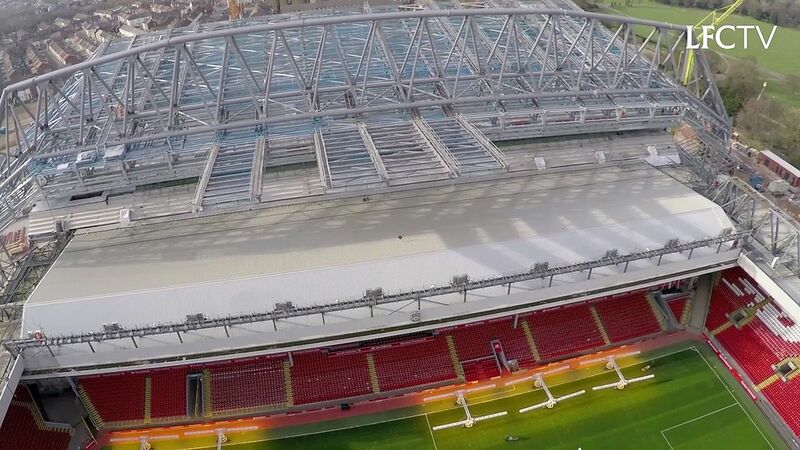 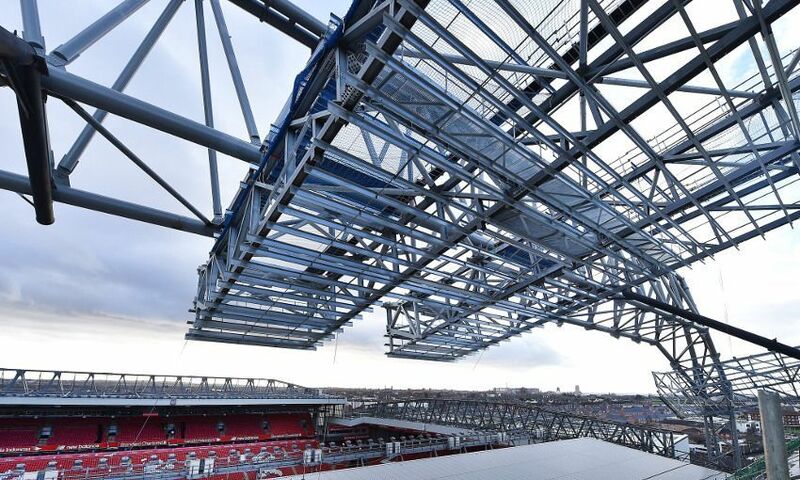 The new, enlarged main stand will hold over 20,000 people, representing an increase of 8,300-8,500 from the starting point. 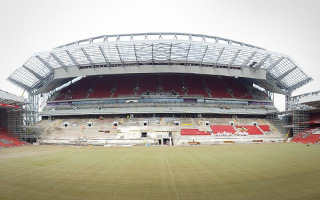 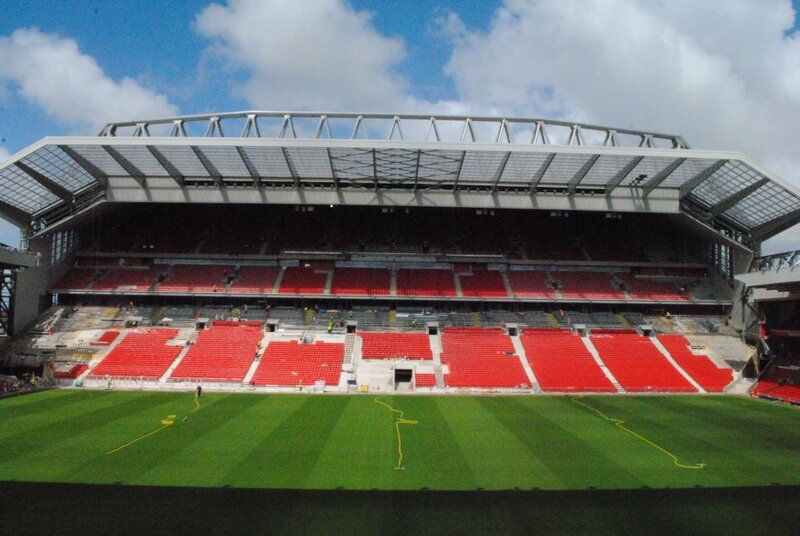 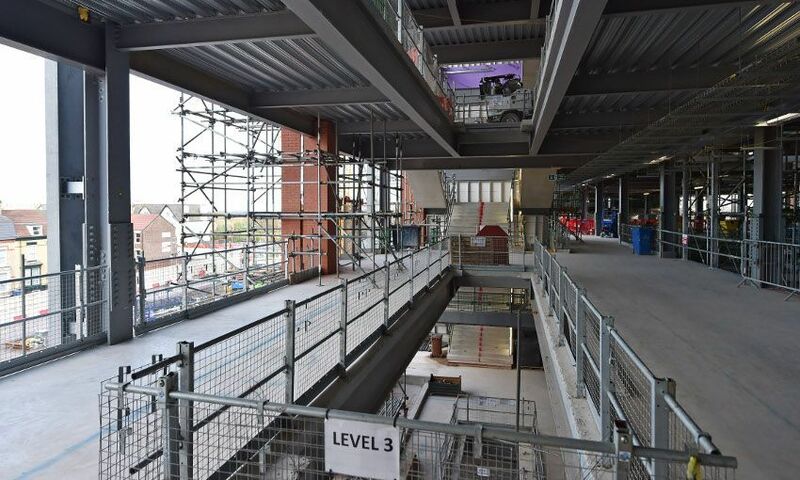 Spread across three tiers (9,300 / 3,100 / 7,900), the seats will provide new facilities for corporate clients, who will be crucial in recovering investment cost of £75 million (115m including secondary costs). 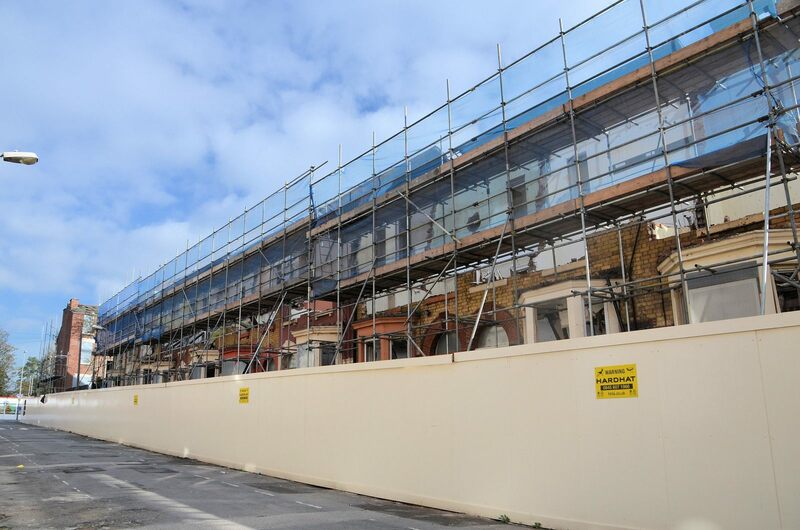 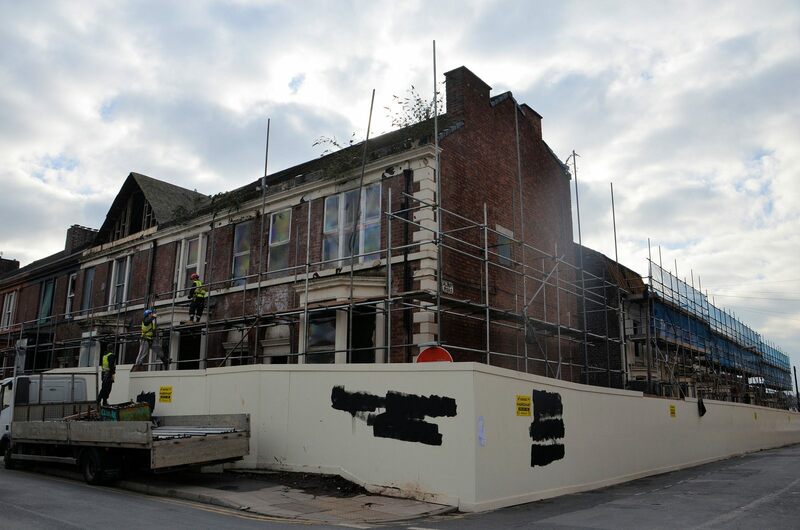 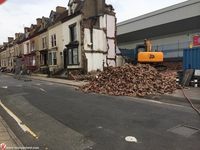 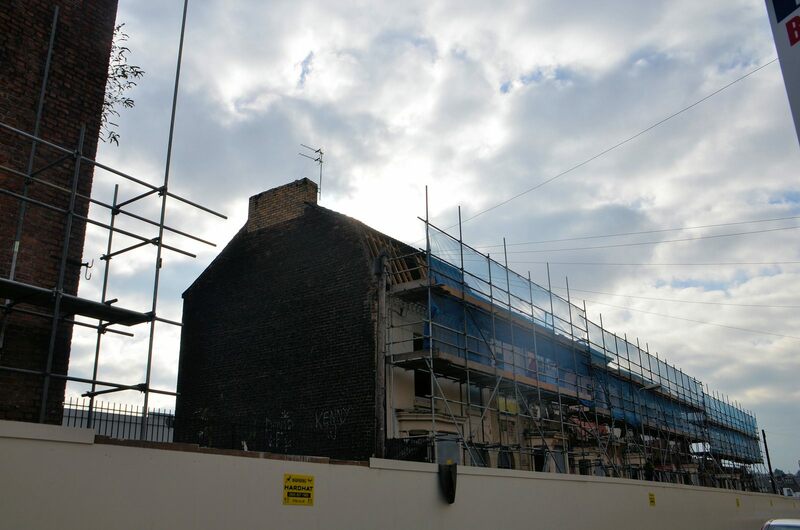 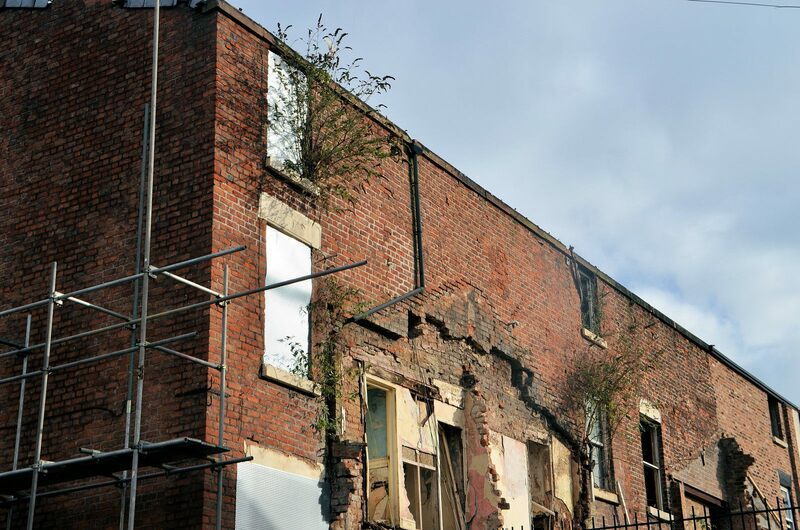 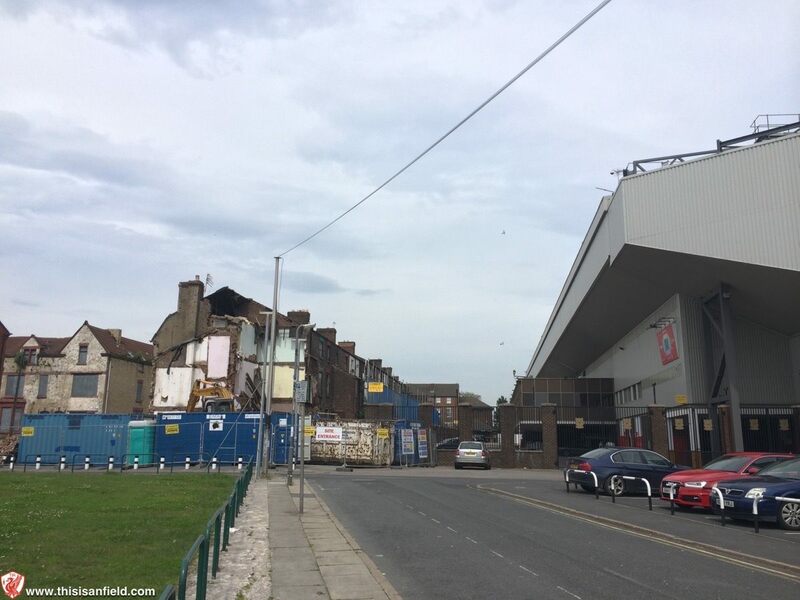 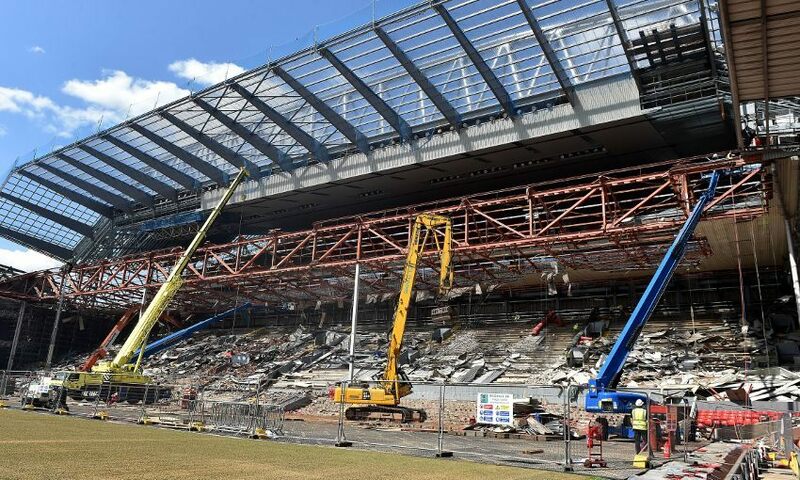 Enabling works began in June 2014, when demolition of houses behind the main stand was launched. 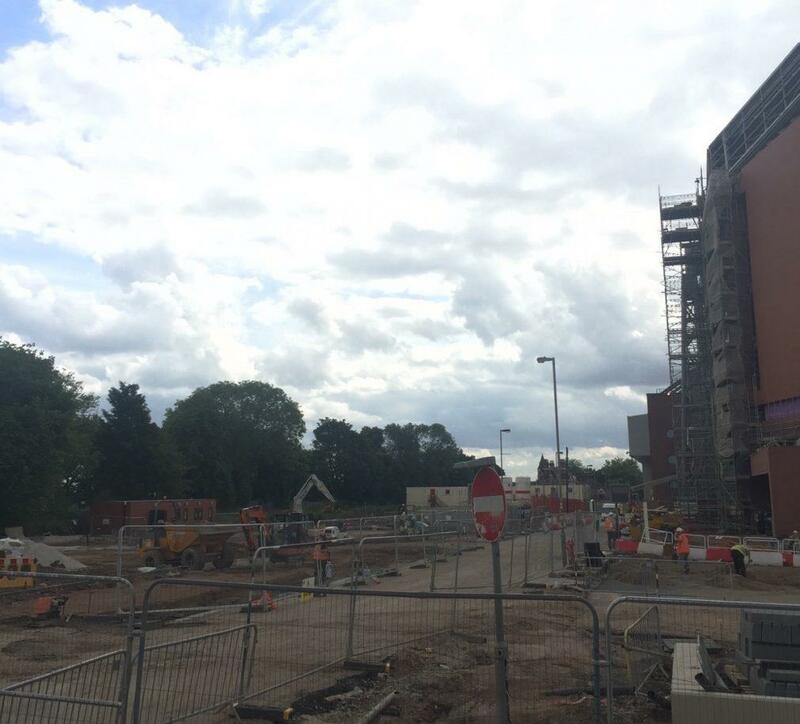 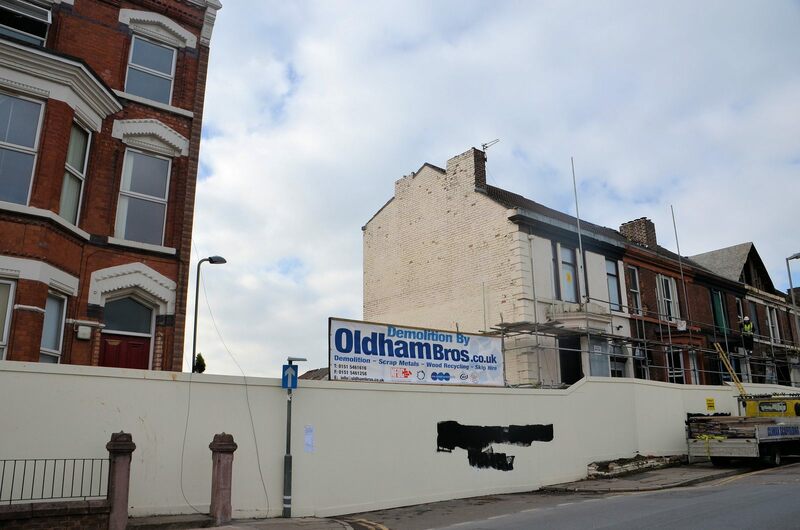 By December 2014 the site was cleared and foundation works started. 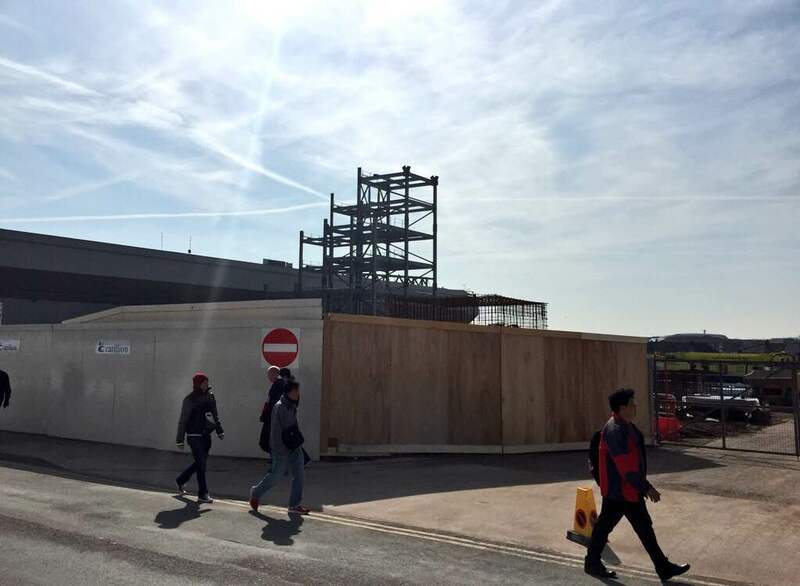 In March 2015 the very first steel prefabs were installed and progress proved to be rapid from that point onwards. 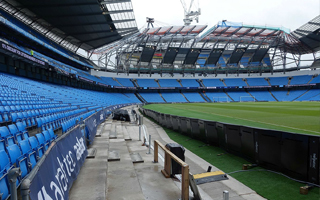 Overall the entire stand is to be delivered in July 2016. 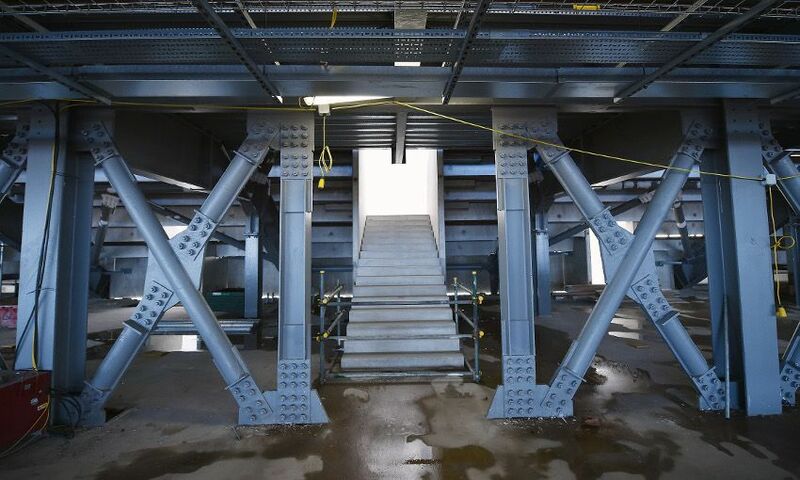 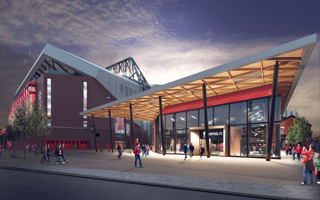 The project runs with a challenge of not intruding football fans from entering the main stand. 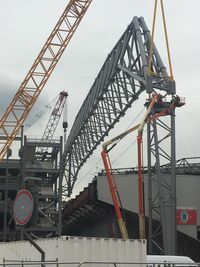 Nearly all of the construction (including mounting of the new roof) will go on from behind the stand and above it, enabling constant use. 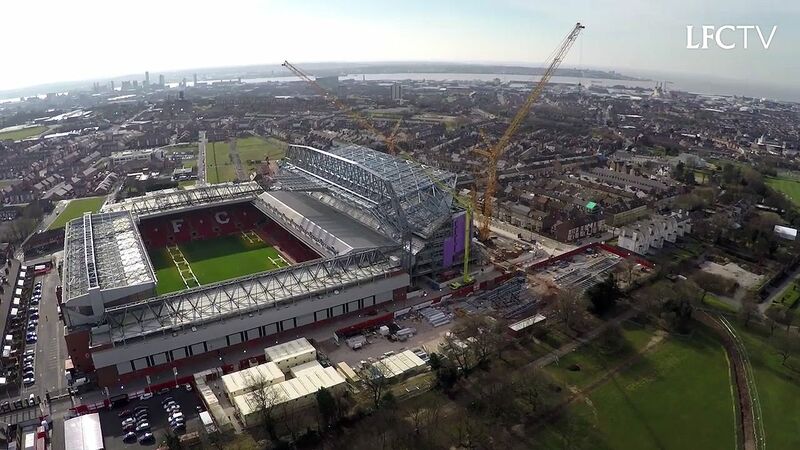 Possibly half a million visitors more. 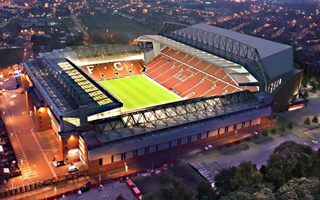 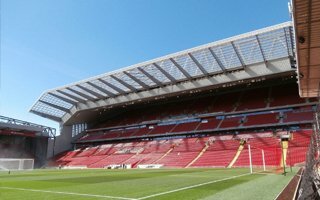 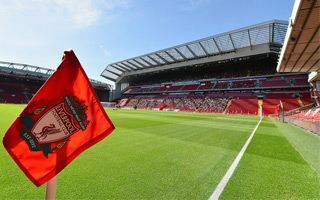 That's how much the use of Anfield might increase annually, if the city council agrees to Liverpool FC's proposal of expanding non-football use. 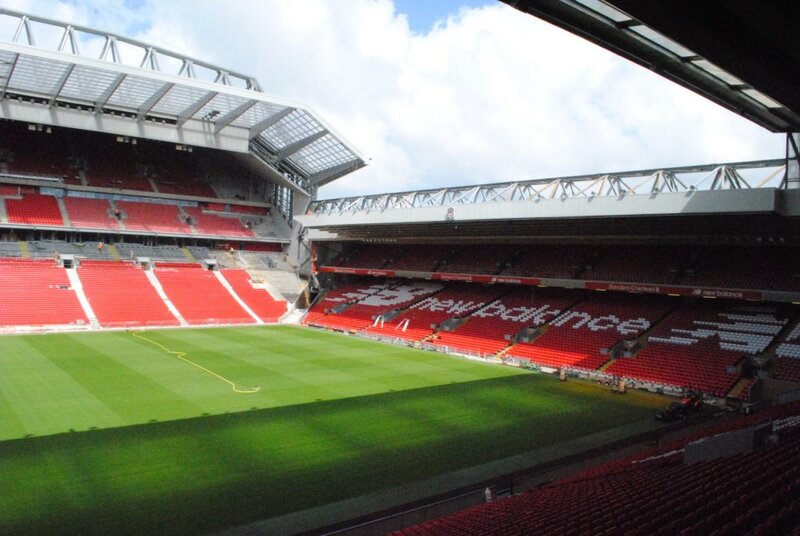 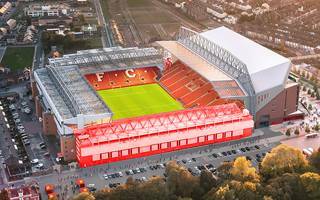 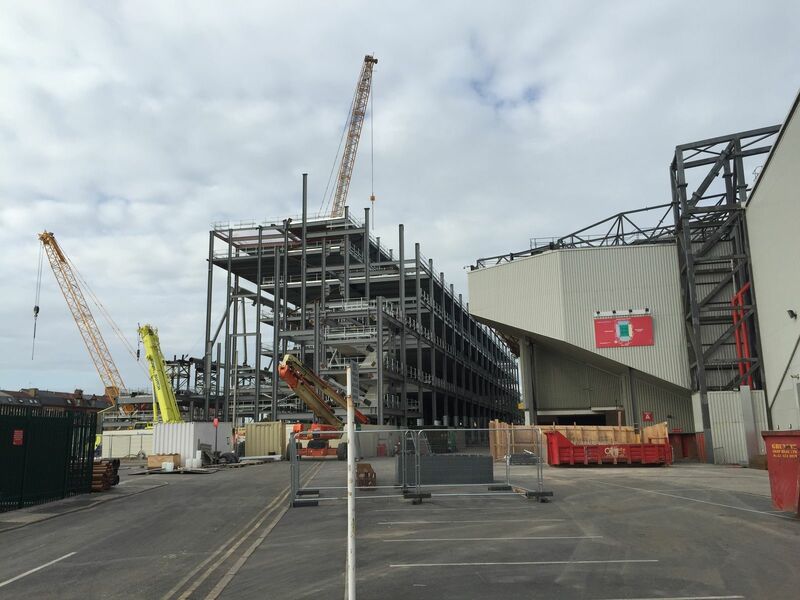 23.03.2018 Liverpool: Anfield to reach 61,000 by 2021? 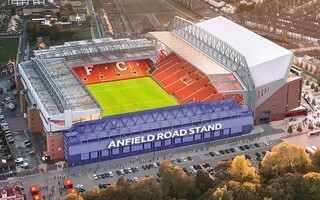 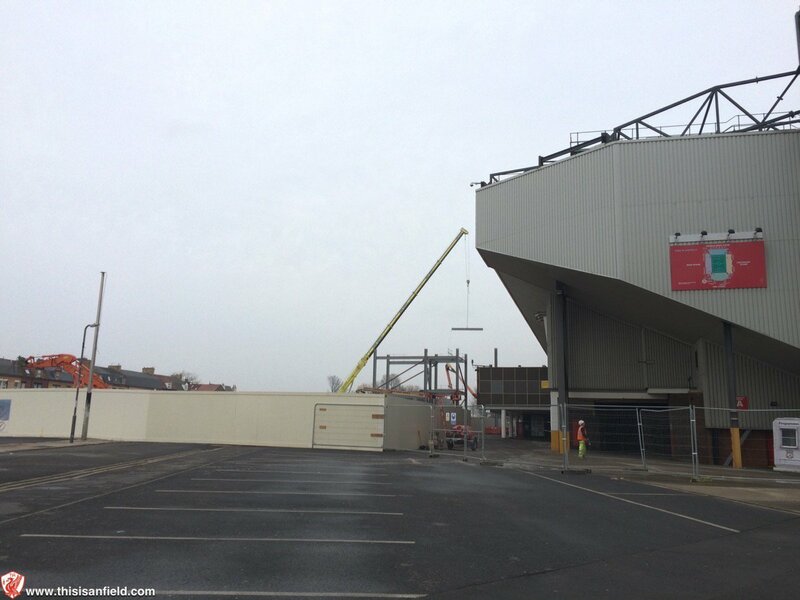 It's no secret to anyone that Liverpool FC are working on further expansion of Anfield. The club has so far been careful not to reveal details, though. 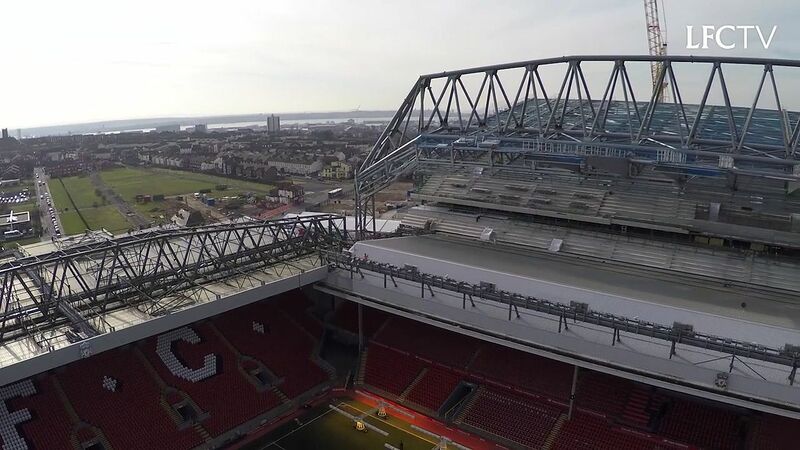 Time to break the silence, perhaps? 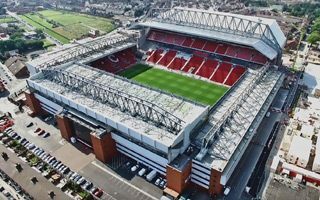 06.05.2017 Liverpool: Anfield second only to Old Trafford? 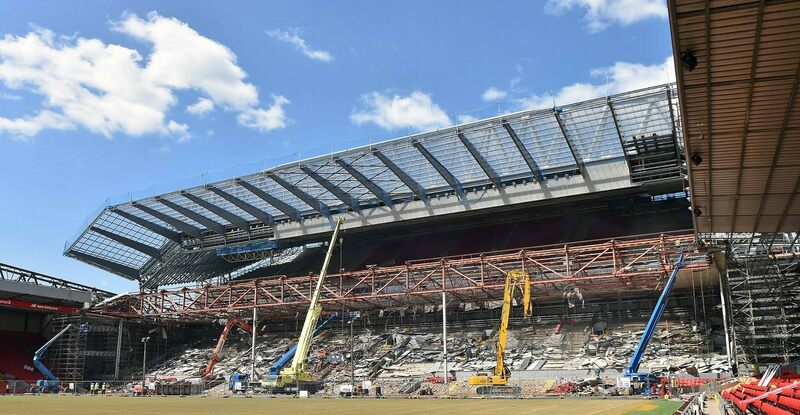 They were about to expand it to 58,800 seats. 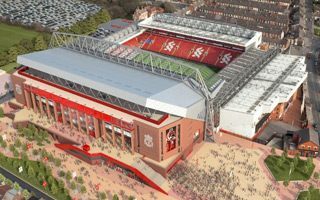 Now the plan is beyond 60,000, which might mean only one stadium of the Premier League could be larger than the expanded Anfield. 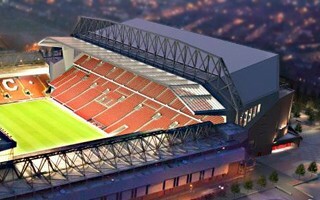 Before the first game is played, two test events will welcome 15,000 people inside new main stand of Anfield next Friday. 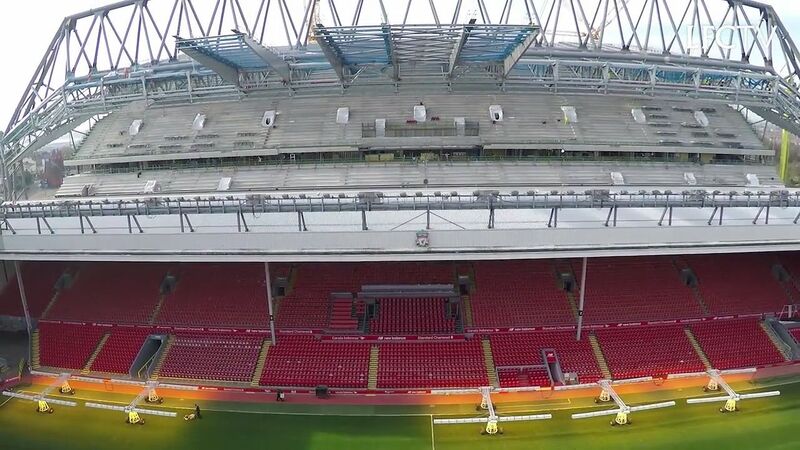 Meanwhile the club reveals further details and is testing new floodlights. 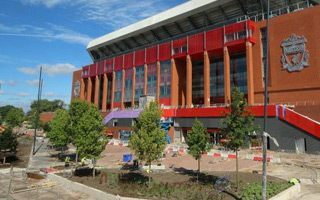 Jürgen Klopp will remain the most famous German currently at Anfield, but the stadium just received a fresh transfer from the Black Forest: trees that will decorate the main stand’s plaza. The Reds reached an agreement with Burnley and will play their first home game no sooner than September 11. 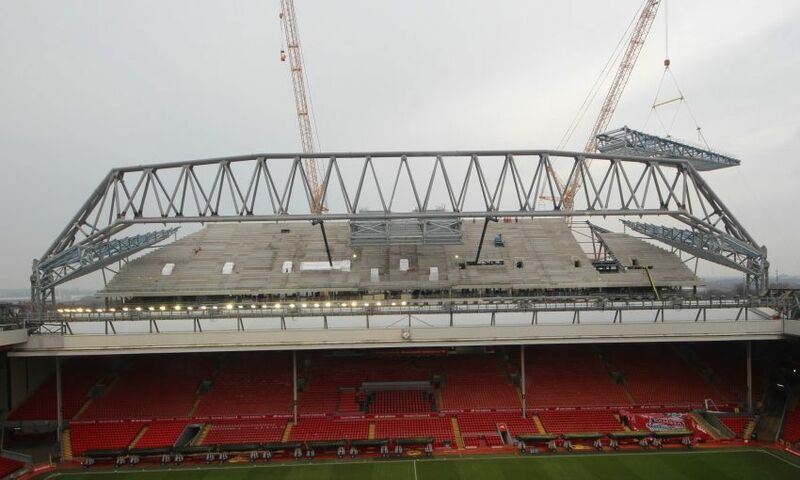 This leaves enough time to make the new main stand operable, though not finished. 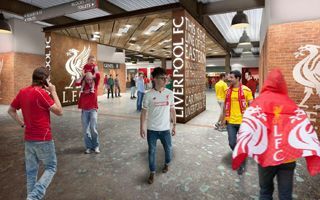 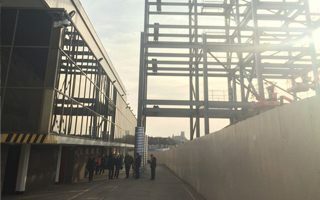 New multi-million club megastore, changes in the public plaza and possible giant banner decorating the new main stand. 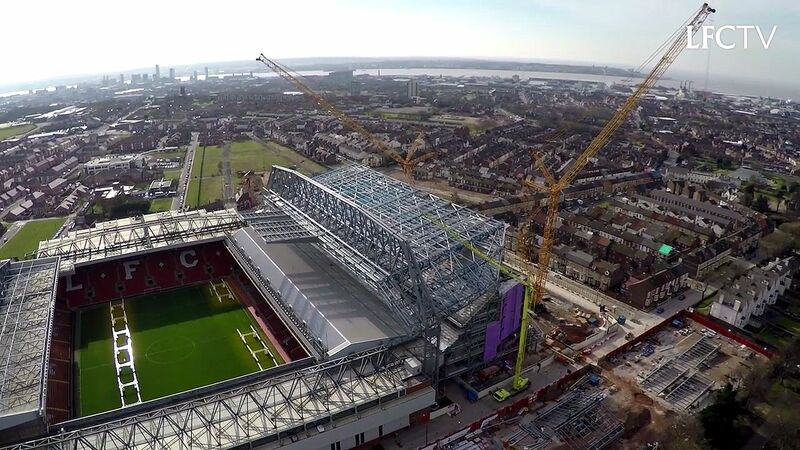 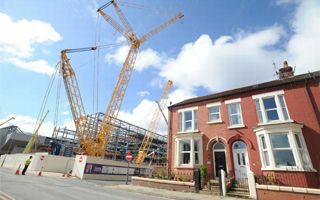 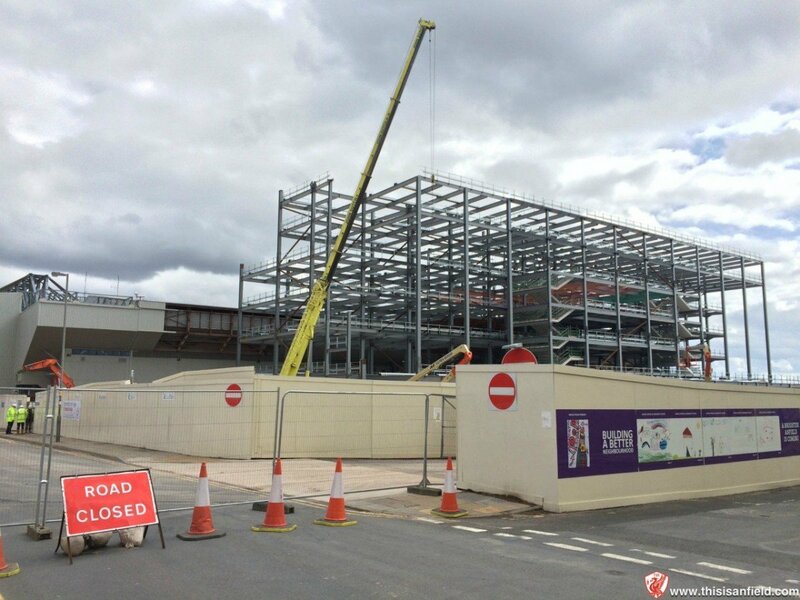 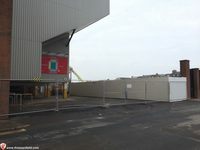 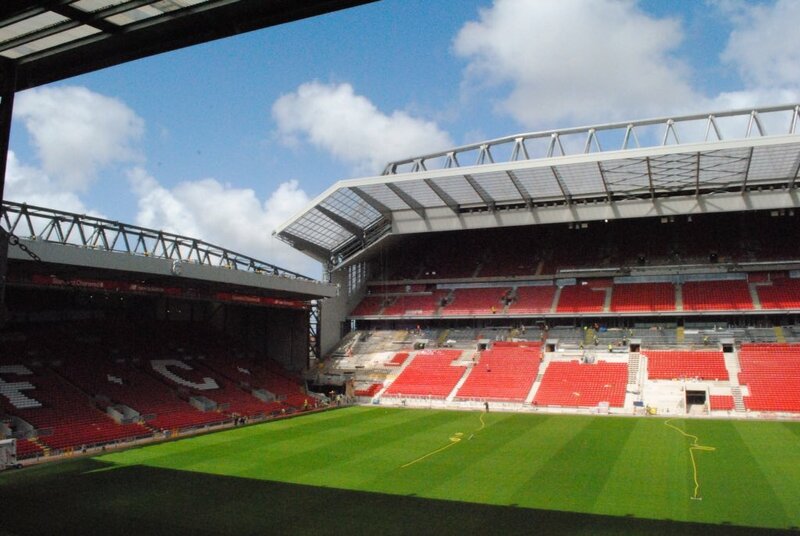 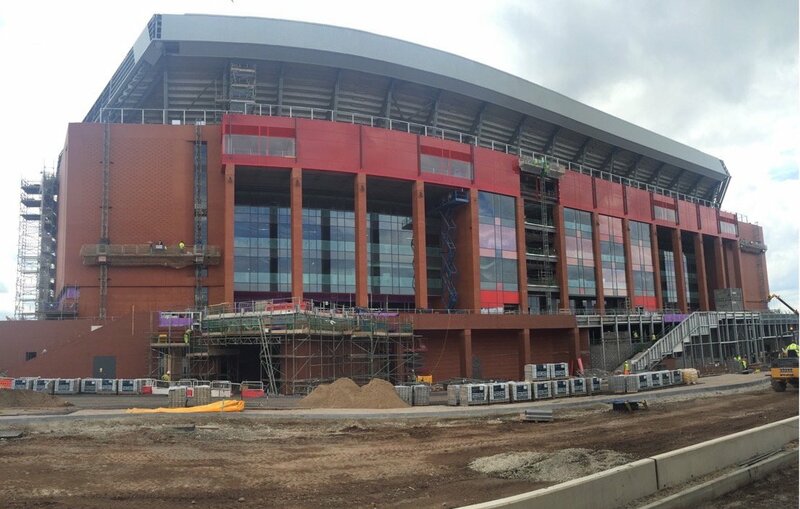 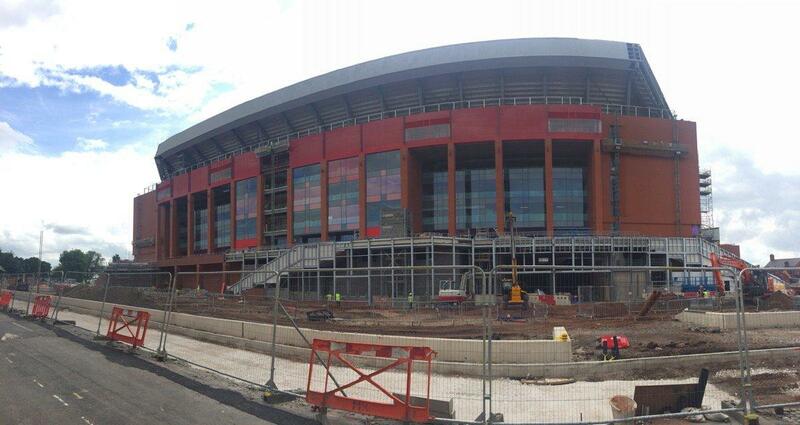 Add to that new construction photos and it’s a massive update package on Anfield! 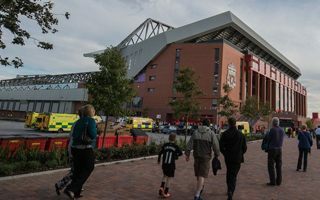 Once they saw thousands of fans leave the stadium in protest, Liverpool FC owners came to their senses and did the right thing. 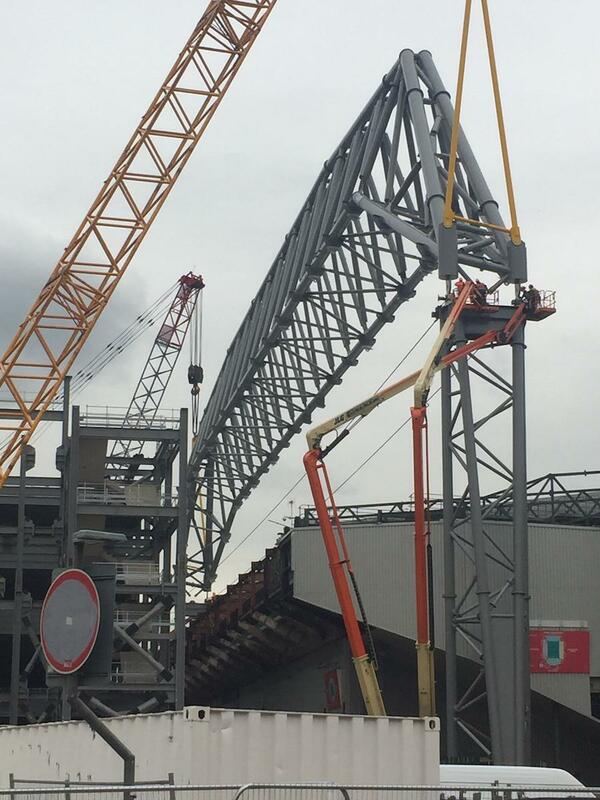 Better late than never, you might say. 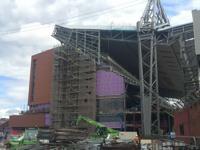 From now on you’ll be able to see not only renderings, but also progress of the build. 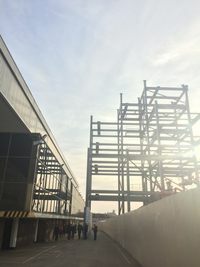 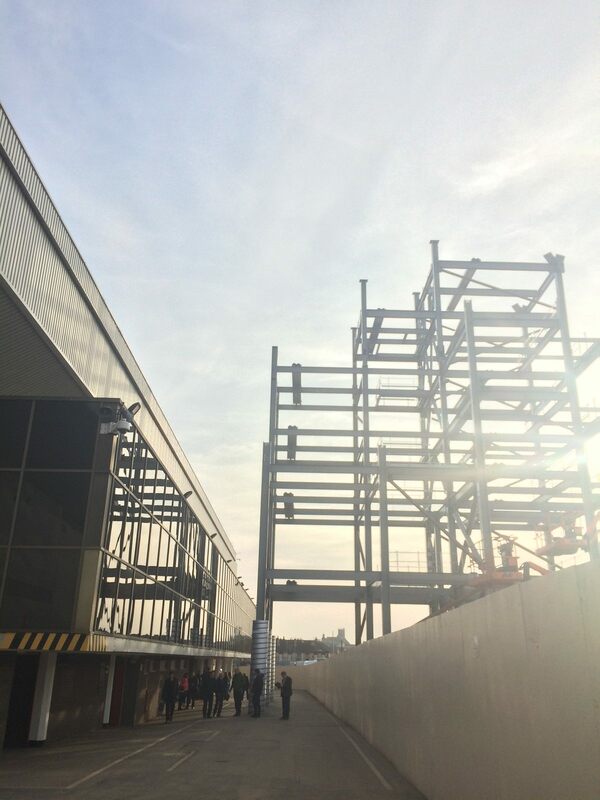 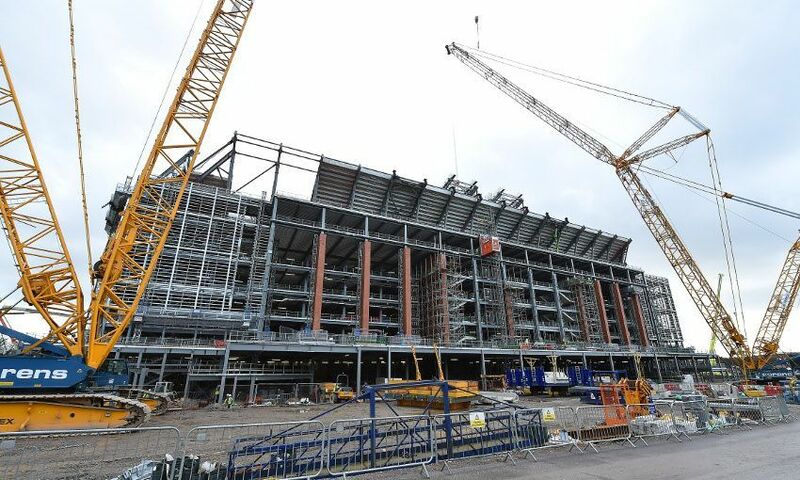 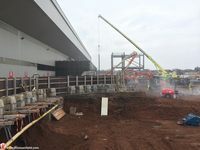 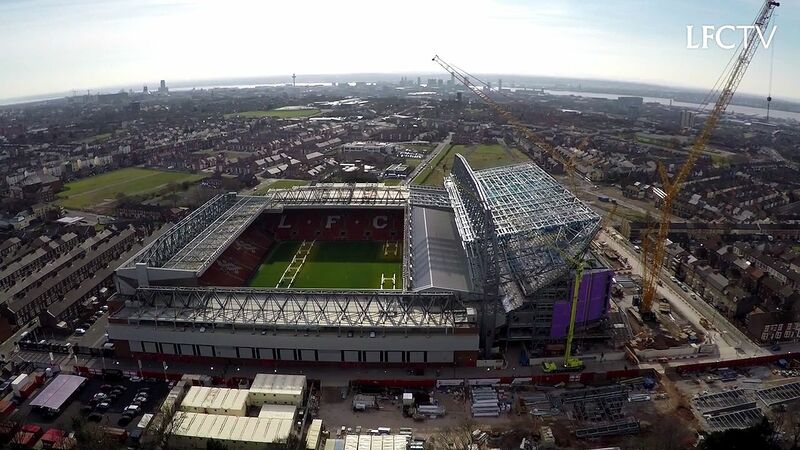 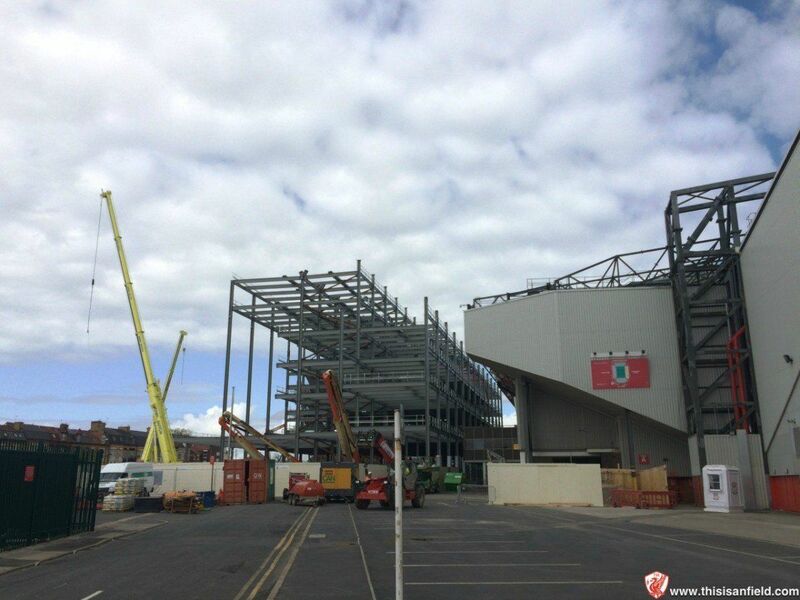 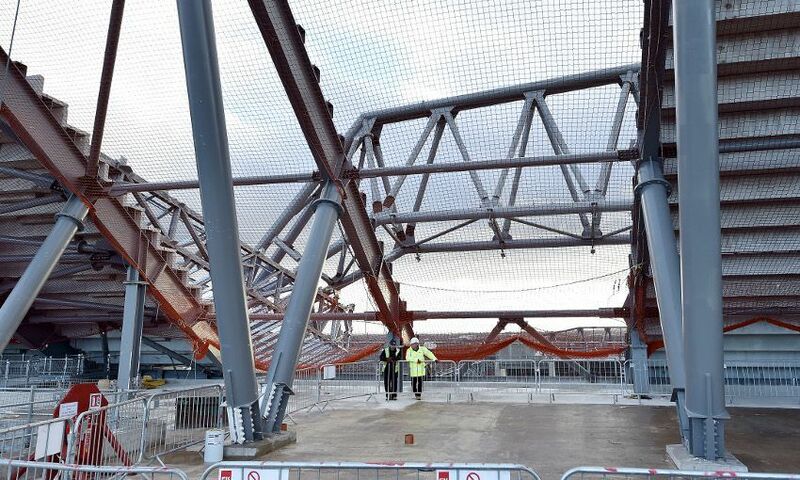 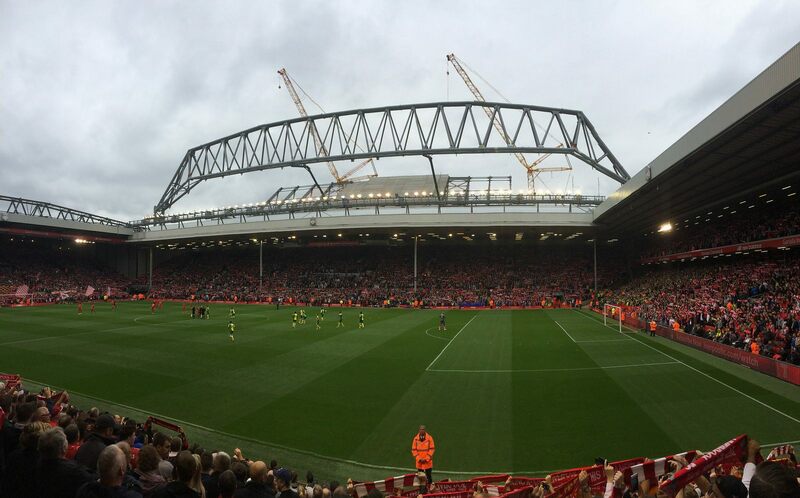 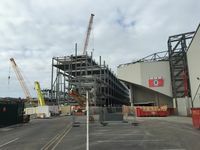 As the steel structure begins to grow, progress will be visible very fast and Anfield will be 8,300 larger next year.